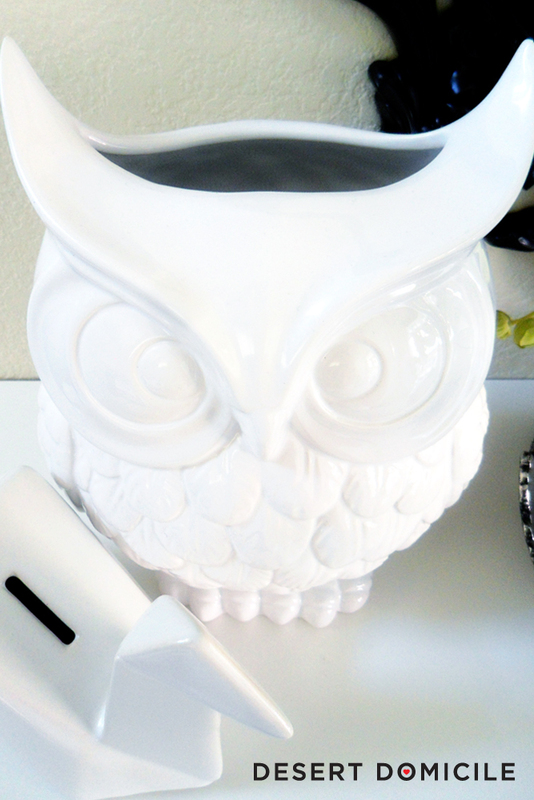 It's no secret that I'm a sucker for white ceramics (especially of the animal variety) so when I saw this white owl at Ross for $6.99, I knew it was coming home with me. The tag said it was a vase but I thought it'd be more practical as a mail holder :) Agree? What's something you own that was intended to be used as one thing but you're using it as another? 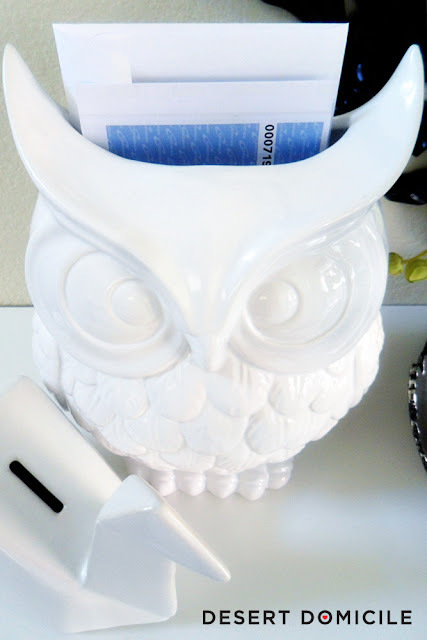 I agree--much better as a mail holder! this is SO flipping cute! I want it! 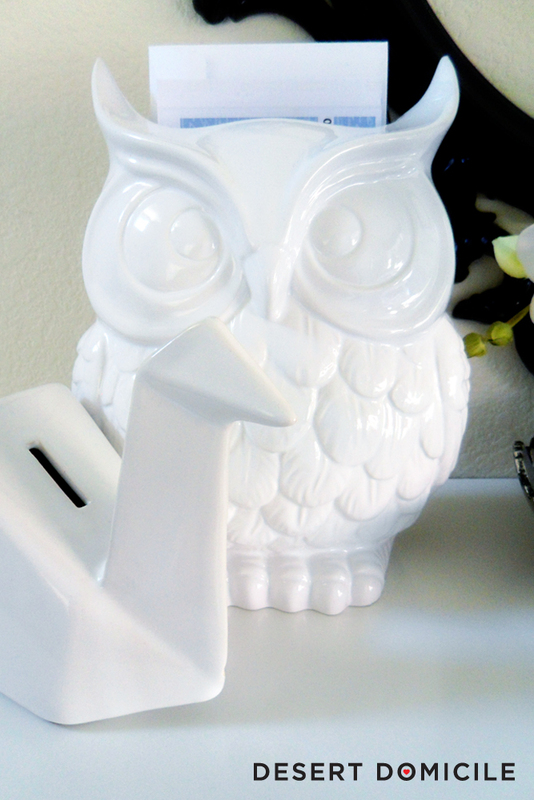 I actually really want the owl umbrella holder! So cute! Lynett - I LOVE that umbrella holder!